Sometimes it happens that someone is drawing very good salary with comfortable job which create a effect on our mind why you are not in such job. I am going to explain all about planetary position behind a comfortable job as per your horoscope. 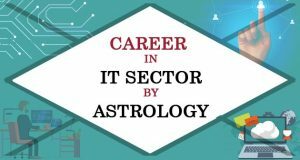 If you follow these basic rules of astrology you could also give career prediction to someone or at least for yourself. If your ascendant is powerful you will get respect in your life. If your Sun is in good position in your horoscope you will be a respectable personality. As much powerful your Sun will more you will give the income tax to government. You will have comfortable job if your Sun is in good position in your horoscope. The same thing is about ascendant. Now let me tell you how the ascendant considered powerful. If the lord of ascendant is situated in ascendant the first house of horoscope itself. If the lord of ascendant is in good degrees between 8 to 24 & situated in first house itself. If the lord of ascendant is situated in 4, 5, 7, 9, 10, 11th house alone. If the lord of ascendant is free from any kind of malefic effect. 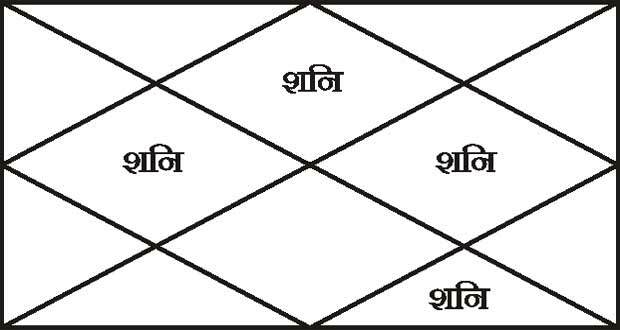 If the lord of ascendant is same in Navmansh Kundali which also called D-9 Chart. If the lord of ascendant is in 2nd house with Sun. If the lord of ascendant is in 10th house in powerful position (With or without malefic effect). If your Venus is in 1, 4, 5, 7, 9, 11th house in zodiac sign like Taurus, Gemini, Libra, Pisces. If Jupiter is in 10th house you will have comfortable job. if your Venus and Jupiter anywhere in horoscope are situated in good degrees between 6 to 24. Other than these rules there might be thousands more which I cannot write here but these couple of rules will definitely be in your horoscope if you are in comfortable job. If you are drawing good salary you will have one of the rule found in your horoscope for sure. Saturn in horoscope if situated in 10th house the person does labor work. In the modern society even in the IT companies you will see the people working like a labor let me tell you how. The labor work is very hard sometimes you have not even time to take food on time. In labor work you do hard work and all the fruit of your hard work go to other people who are taking work from you. You have no excuse sometimes. To save the job you are compelled to do your work even after the office timings. 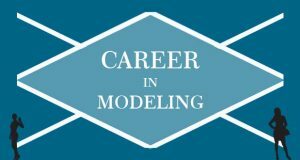 Know if you will have the good career ahead. 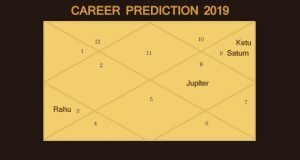 Order the career prediction for 1100 Rs. The situation mentioned above is of almost everyone I have observed in my 13-year career. And the only responsible planet was Saturn in horoscope whether the Saturn is situated in 10th house or have connection with 10th house lord. If Saturn’s aspect is also on the 10th house, you might have to go through with the similar situation. The picture below of Saturn in horoscope will help you to understand. If in your horoscope you have Saturn in the position like shown in the image your job will be difficult and compulsions will be high in your duty. This depends sometimes on you also. Because you are not ambitious and you cannot take risk. To improve your situation you can use baglamukhi mantra will give you the ability to prove yourself. Alternatively you can wear the gemstone of Saturn the blue sapphire. Press the like button if you agree with me. If you have doubts about anything I have mentioned do not hesitate to use the comment box.